Dr. Rajeev Gupta has over 21 years of experience as a dentist and is a reliable name in Paschim vihar, Delhi. After finishing his BDS degree from Buddha Institute of Dental Sciences & Hospital ? Patna in 1995, he specialized in full mouth rehabilitation and also attended several courses in metal free prosthesis and esthetic restorations. Dr. Gupta has also been contributing to develop Implantology in India for the past 12 years by applying every implant system in order to provide his patients with maximum efficacy with comfort. To make sure that his patients can get everything under one roof, as far as the dental problems are concerned, he started Balaji Multi-speciality Dental Clinic in Paschim Vihar, Delhi. 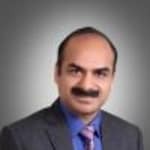 He is also a professional member in the Indian dental association, Indian society of Restorative dentistry and other revered dental associations. As a way of acknowledging his contributions in the field of dentistry, he was also awarded the prestigious National award of Best President of U S Krishana Award. So, if you have any problems related to your oral health ranging from dental check-ups to artificial teeth or braces and many more, it is recommended to contact Dr. Rajeev Gupta to eradicate your problems. I and my Wife Got Treated By Dr.Rajeev. Thorough Professional & Great Doctor. Hello sir, Mera ek problem hai ki main jab thuk fakta hoo khabhi kabhi khoon atta hai. Par koi khashi vagera ya pain aisa kuch nahi cough se nahi normally thuk se. Yeh samajhme atta hai jab maye biri smoke karta hoo. Mujhe ek doctor suggest kiya ki aap biri math piyo aur teekha mat khao. Maine kiya tooh kuch dino bad phir wahi problem par maine biri nahi piya phirbhi. Too sir please aap kuch suggest kigiya koi medicine but koi gum ya cavities problem nahi hai na hi mooh ka kii problem please aap koi solution digiya yah koi medicine batayea. Generally bleeding in gums is due to swelling in gums (pyorrea) one should go in for through cleaning of gums which can be really helpful to stop bleeding but after consulting your dentist.